Why Use XL NuRoof Coating? "Discover How Roof Coating Can Give You A Brand New Looking Roof For At Least Half The Cost Of A New One!" For a fraction of the price of a new roof, XL NuRoof Coating will clean and coat your roof to make it look like new again. This not only has less impact on your wallet but also on the environment due to restoring your old tiles instead of throwing them away. Most older roofs look neglected from years of weathering and moss growth. However, you'll be pleased to know that all your roof may need is some professional care and attention to bring it back to its former glory! Extend the life of your roof for at least another 20 – 30 years. "Restoration is a lot more cost effective than replacing the roof tiles." Your existing tiles are well made, better quality and have been secured and nailed to your existing roof batons - unlike a new roof. We use NuTech paints roof coating which is more robust, durable and retains the new colour of your roof tiles. "That’s why we can offer a 12 Year Manufacturer's Guarantee!" With 12 different colours available, getting a new look for your roof has never been cheaper and easier. XL NuRoof Coating take great pride in every roof we renovate, which is why we always apply 3 coatings for maximum protection. "We prime them to reseal the tiles before adding two top coats of your chosen colour." 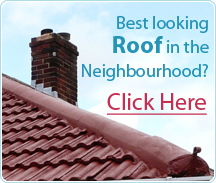 Click Here Now To Arrange A Roof Survey! "It makes a refreshing change to get work done on my property in such a professional manner. 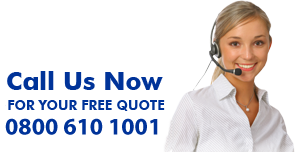 We had no hassle or stress and saved quite a bit of money too."